Venus was once considered a twin to Earth, as it's roughly the same size and is relatively close to our planet. But once astronomers looked at it seriously in the past half-century or so, a lot of contrasts emerged. The biggest one—Venus is actually a hothouse planet with a runaway greenhouse effect, making it inhospitable to life as we know it. Here are some more interesting facts about Venus. 1. Venus' atmosphere killed spacecraft dead very quickly. You sure don't want to hang around on Venus' surface. The pressure there is so great that spacecraft need shielding to survive. The atmosphere is made up of carbon dioxide with bits of sulfuric acid, NASA says, which is deadly to humans. And if that's not bad enough, the temperature at the surface is higher than 470 degrees Celsius (880 degrees Fahrenheit). The Soviet Venera probes that ventured to the surface decades ago didn't last more than two hours. 2. But conditions are more temperate higher in the atmosphere. While you still couldn't breathe the atmosphere high above Venus' surface, at about 50 kilometers (31 miles) you'll at least find the same pressure and atmosphere density as that of Earth. A very preliminary NASA study suggests that at some point, we could deploy airships for humans to explore Venus. And the backers suggest it may be more efficient to go to Venus than to Mars, with one large reason being that Venus is closer to Earth. 3. Venus is so bright it is sometimes mistaken for a UFO. The planet is completely socked in by cloud, which makes it extremely reflective to observers looking at the sky on Earth. Its brightness is between -3.8 and -4.8 magnitude, which makes it brighter than the stars in the sky. In fact, it's so bright that you can see it go through phases in a telescope—and it can cast shadows! So that remarkable appearance can confuse people not familiar with Venus in the sky, leading to reports of airplanes or UFOs. 4. And those clouds mean you can't see the surface. If you were to look at Venus with your eyes, you wouldn't be able to see its surface. That's because the clouds are so thick that they obscure what is below. NASA got around that problem when it sent the Magellan probe to Venus for exploration in the 1990s. The probe orbited the planet and got a complete surface picture using radar. 5. 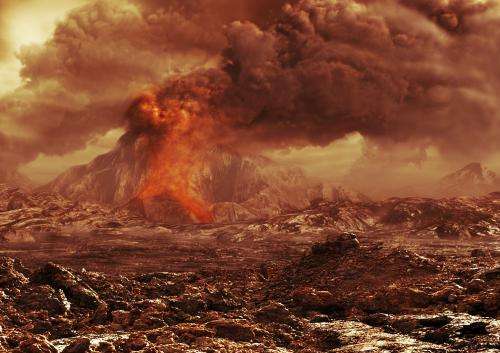 Venus has volcanoes and a fresh face. Venus has fresh lava flows on its surface, which implies that volcanoes erupted anywhere from the past few hundred years to the past three million years. What this means is there are few impact craters on the surface, likely because the lava flowed over them and filled them in. While scientists believe the volcanoes are responsible, the larger question is how frequently this occurs. 6. Venus has a bizarre rotation. Venus not only rotates backwards compared to the other planets, but it rotates very slowly. In fact, a day on Venus (243 days) lasts longer than it takes the planet to orbit around the Sun (225 days). Even more strangely, the rotation appears to be slowing down; Venus is turning 6.5 minutes more slowly in 2014 than in the early 1990s. One theory for the change could be the planet's weather; its thick atmosphere may grind against the surface and slow down the rotation. The two planets closest to the Sun have no rings or moons, which puts Venus in the company of only one other world: Mercury. Every other planet in the Solar System has one or the other, or in many cases both! Why this is is a mystery to scientists, but they are doing as much comparison of different planets as possible to understand what's going on. 8. 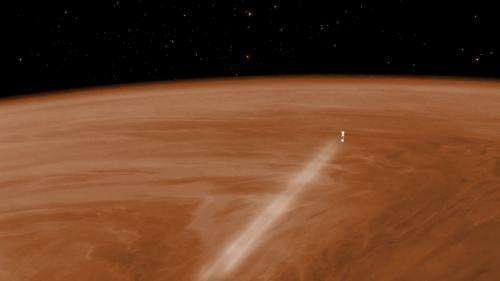 Venus appears to be a spot where spacecraft go to extremes. We briefly mentioned the Venera probes that landed on the surface, but that's not the only unusual spacecraft activity at Venus. 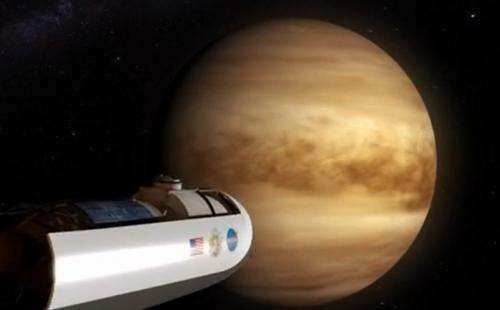 In 2014, the European Space Agency put an orbiter – that's right, a spacecraft not designed to survive the atmosphere—into the upper parts of Venus' dense atmosphere. Venus Express did indeed survive the encounter (before it ran out of gas), with the goal of providing more information about how the atmosphere looks at high altitudes. This could help with landings in the future. Why is Venus so horrible? 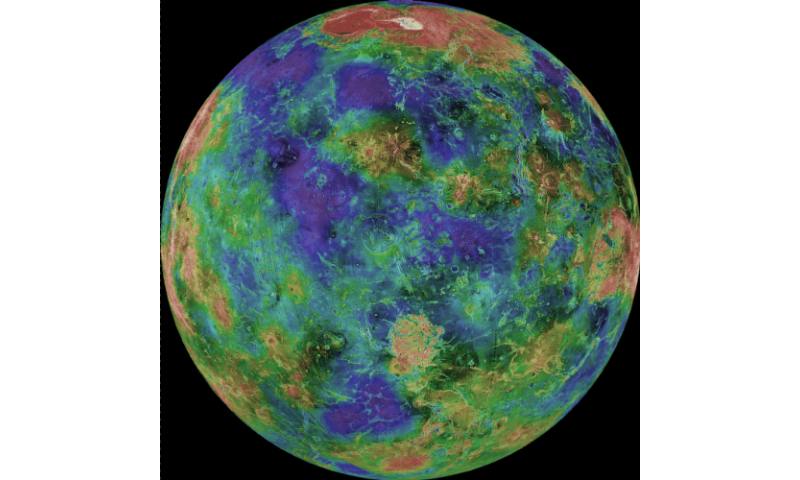 The weather models are all wrong, the climax scienters cannot get them right, there is no hothouse effect in Venus!!! It's all a scam!! !